Holiday season is fast-approaching, and with UK temperatures hitting new heights, there’s never been a better time to brush up your on SPF skills. 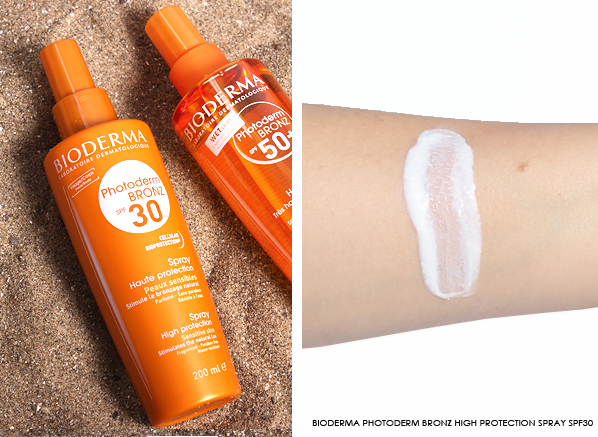 To celebrate the summer sunshine heading our way, I’ve created an exclusive Photoderm Edit, outlining everything you need to know about choosing the most suitable SPF for your skin, whether that be for your face or body. 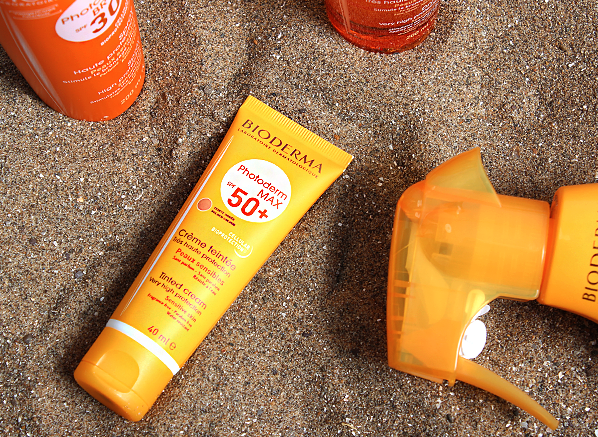 So, what is so special about Bioderma Photoderm SPF, I hear you ask. My answer? Biology and Photoprotection. Photoprotection is the biochemical process that helps organisms cope with molecular damage caused by sunlight – think wrinkles, burnt skin, and pigmentation! 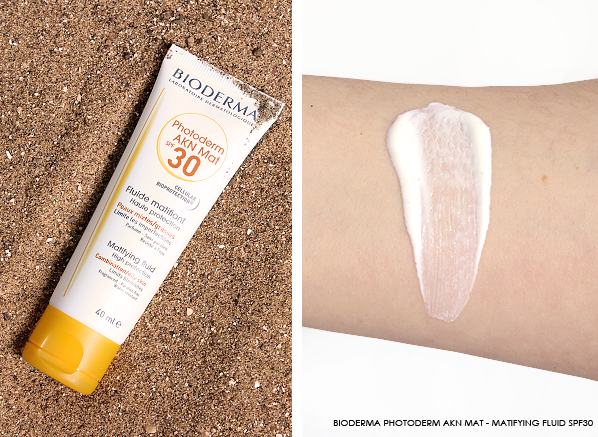 When you have blemished skin, the worry of an SPF clogging up your pores is real. Fret no more, the AKN Fluid is not only non-comedogenic, but its ultra thin consistency will help keep breakouts at bay with its acne-safe formula. 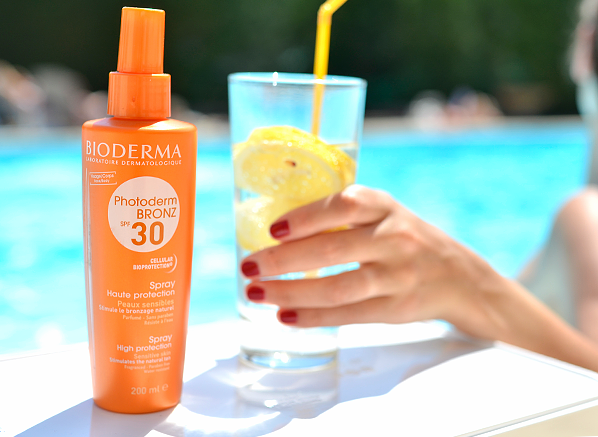 This is thanks to Bioderma’s very own Fludactiv patent, a clever ingredient that biologically regulates sebum quality, keeping your pore size diffused, whilst preventing the production of blemishes. High, specialised protection is essential for those susceptible to sunspots and increased pigmentation. We know that the sun accelerates melanin production, therefore, to avoid further pigmentation, you need a tailored to you SPF that’s going to keep uneven complexions at bay. 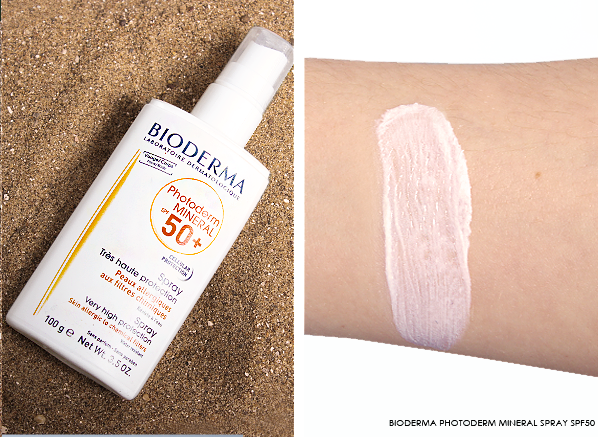 Bioderma uses the active ingredient glabridin in the Photoderm M SPF which inhibits tyrosinase – tyrosinase controls melanin production. If you use retinols, have regular peels, or maybe you have acne scarring. 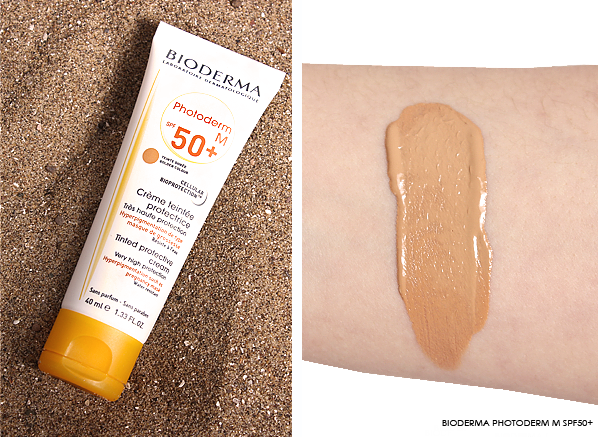 Choose Photoderm SPOT, as it contains a very high level of photoprotection to prevent hyperpigmentation from kicking in when your skin is a little more sensitive than usual. Again, featuring the super ingredient glabridin to inhibit tyrosinase, the active enzyme that controls melanin production. If redness is a concern of yours, whether it be temporary from heat, emotions or the menopause, the AR Tinted Cream is just what you need. Bioderma has created their own exclusive Rosactiv™ patent, which directly targets vascular endothelial growth factor (VEGF encourages the growth of new blood vessels – causing the redness). In addition, Enoxolone, a form of liquorice soothes any sensitivity whilst protecting your skin. What’s important about Mineral sunscreens is that they don’t absorb into your skin. Mineral SPF’s work to reflect the sun’s rays away from your skin, which is more suited to those who are prone to sensitivity. Infused with zinc oxide, known as one of the best ingredients for UVA and UVB protection (also known as broad-spectrum coverage). This delicate formula is high in protection and antioxidants with added vitamin E. Be sure to take more time to work this one into your skin before going into the sun, as it won’t absorb into your skin like a chemical SPF would. 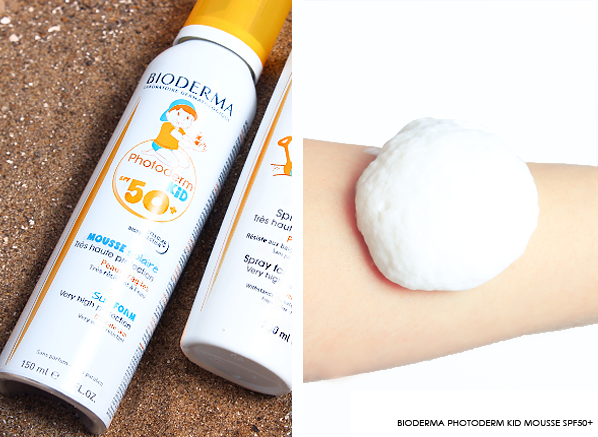 What I love about the Bioderma Photoderm Kid range is that it’s fun to apply and its UVA/UVB protection is the maximum tolerance to keep your little one safe and protected. The added infusion C-peptide is specially tailored to the needs of children’s delicate skin, reinforcing their natural self-defence systems whilst they play about in the sunshine. 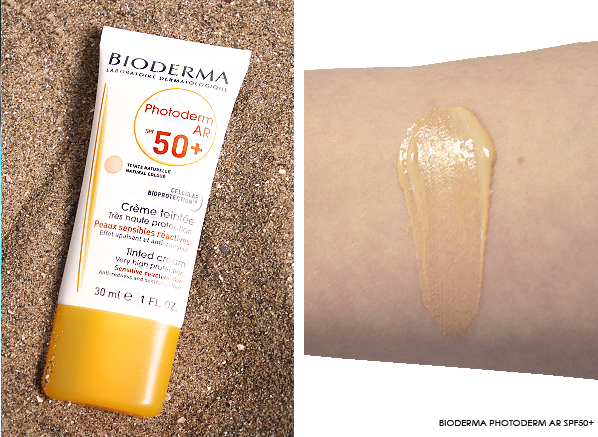 A must-have SPF for very fair skin that tends to go red when in contact with the sun, the Photoderm Max is only available in SPF50 for maximum protection. 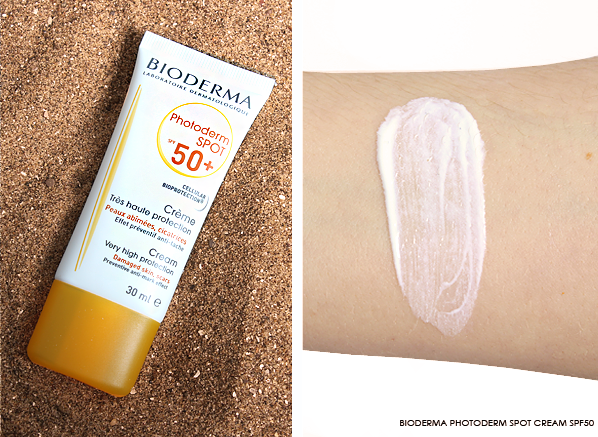 Similar to the mechanism of the Photoderm Kids, Photoderm Max stimulates your skin’s natural defences during sun exposure, ensuring skin cells are well protected from harmful UVA & UVB rays. 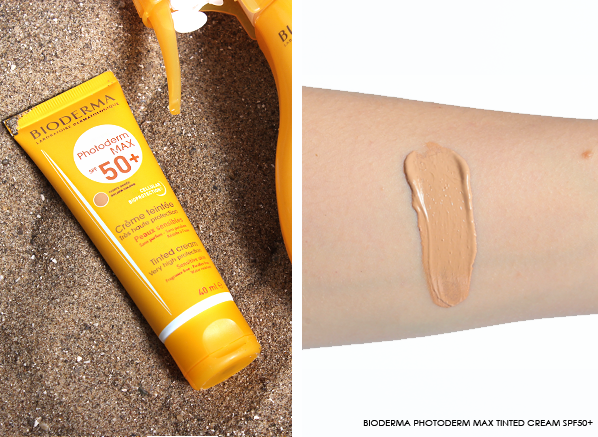 If you like a golden glow, the Photoderm Bronz is the SPF range for you. Enriched with the innovative BRONZ complex to stimulate the natural biological tanning process, the whole BRONZ collection ensures longevity with your tan, without damaging your cells. Added vitamin e adds antioxidant protection to your whole body, whilst preventing cutaneous ageing (wrinkles, dryness, etc). This entry was posted on Thursday, June 8th, 2017 at 5:37 pm and is filed under Brand Focus, French Pharmacy, Offers, Skincare, Sun and Tanning. You can follow any responses to this entry through the RSS 2.0 feed. You can skip to the end and leave a response. Pinging is currently not allowed.